Curacao is one of the most beautiful islands on the Caribbean and the hotel we have found today brings you close to the ocean breeze of the Caribbean as well as the fun and action of Willemstad. Book the Renaissance Curacao Resort and Casino now for $247 per night and pay over 60% less compared to regular rates if you stay this year. 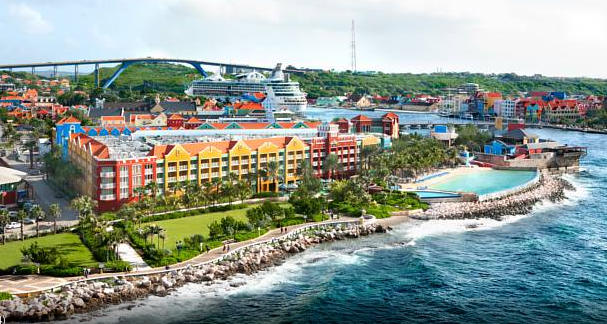 Curacao International Airport (CUR) is only a 10 minute drive away from the Renaissance Curacao Resort and Casino by Marriott that is located in Willemstad, the capital of the island. Visit the famous swinging bridge of the city, go shopping or sightseeing and at the end of the day enjoy all the amazing features of the hotel. The decoration of the 237 rooms and suites at Renaissance Curacao Resort is tropically inspired and colorful, yet elegant. the luxurious accommodations all have flat screen TV sets with international cable channels, spacious terrace or balcony, work desk with chair, Internet access, mini fridge and wet bar. Rooms are air conditioned and non smoking and hospitality services include newspaper delivery on request plus turn down service. Bathrooms come with lighted mirror, a shower plus tub combination, slippers and hair drier. Though very close to restaurant and bars of the city, Renaissance Curacao Resort and Casino has its own great dining places. Xcuisit is an elegant restaurant with eclectic decor where menus are are refreshed with new courses every three months. Blue Lobby Bar and Infinity Beach Bar offer refreshing drinks and light snacks during the day and there is also a Starbucks in the hotel. Last but not least, Nautilus Restaurant serves main meals both buffet and a la carte in a casual atmosphere. 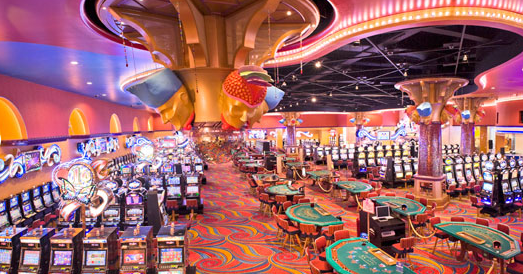 Renaissance Curacao Resort and Casino – as the name indicates – features a spacious casino with slot machines, game tables and poker rooms. The resort also has a large outdoor infinity pool, a fitness center with cardio equipment and free weights and a jogging trail. If you have one more minute, you should take a look at similar offers as well. Enter your travel dates and select some travel sites from the box and compare their prices. You may find an even cheaper Curacao hotel deal of similar features. 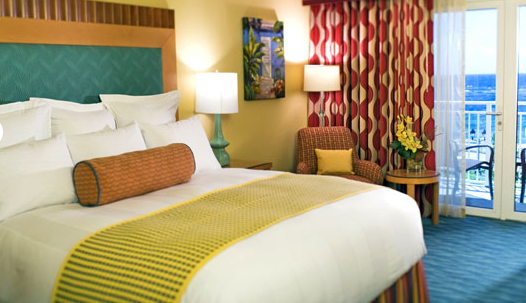 This entry was posted on Friday, August 7th, 2015 at 3:36 am and is filed under Hotel Deals. You can follow any responses to this entry through the RSS 2.0 feed. You can leave a response, or trackback from your own site.